Sinus problems (there is a possibility that implants could protrude into the sinus cavity). Nerve damage (if such situation happens, you would be able to feel tingling in your gums, teeth, chin or lips or you could feel pain or numbness in the area). Injury to the surrounding tissues. Pain after the surgery – your bone will be affected during the surgery, so pain, swelling, sensitivity, and soreness can appear. However, your dentist will prescribe you some pain relief medication to help you feel more comfortable throughout the healing process. A dental implant can become loose and fall out. 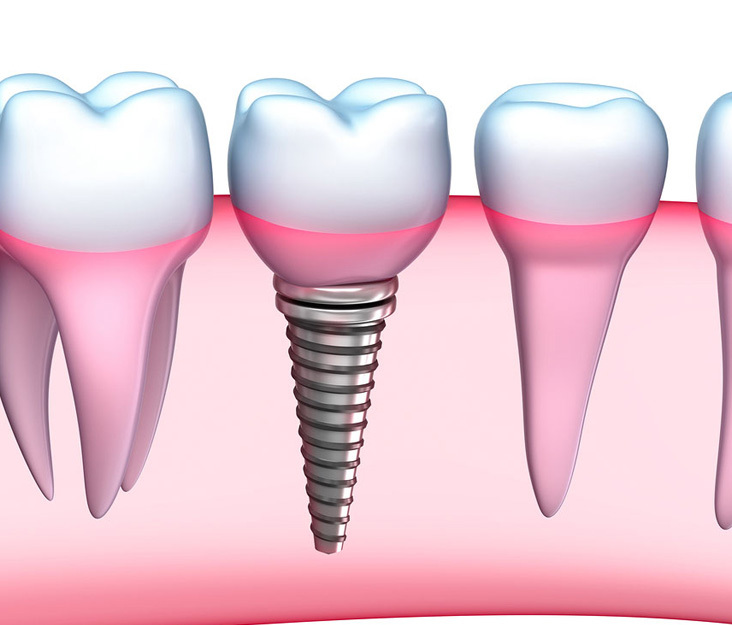 If the two steps procedure was done in one step, the implant can also fall out. This would put too much pressure on the implant, which would cause it to loosen up and fall out. Implant fail – it means that dental implant doesn’t fix with the bone properly, so the tissues would naturally grow around it. You should know if the implant is rejected from your body within the first year. However, 90% of dental implants affix and fit perfectly. Peri-implantitis – This disease is caused by bacterial infection and occurs with a gradual bone loss in the implantation area. Dr. Gold at Newport Beach Dental Associates will be happy to discuss with you more on the dental implantation process. He will not only thoroughly examine your mouth and situation but will also offer you the most suitable treatment plan for your individual case. Feel free to call us and set up your appointment: (949) 650-6772.